Every home has its unique requirements. We provide services to help keep your roof free from the elements, and also to save homeowners on repair expenses as a long-term solution. A roof inspection can take care of issues, or perhaps be used as a precautionary method for the peace of mind that the roof is functioning, and protect the home as planned. Regardless of the nature of the roof, a roof inspection is advantageous towards the sustained and ideal overall performance of the most significant element of the residence. You will often find surprising elements, which may be working against the fulfillment of the roof like extreme changes in the weather. An annual roof inspection can prevent a lot more pricey repairs in the future. There are roofing difficulties which are not easily recognized by the unskilled like dampness and water leaks, which go unseen until a severe issue has developed. Moisture and leaks can result in damaging decay that will ruin interiors and decks. In the worst case scenarios, it can trigger mold, which affects the wellness of the homeowners. You may be understandably concerned with the price and procedure of a roof inspection, thinking it is useless without a significant cause for concern. However, beneficial roofing company at Memphis, TN can give a fair and honest evaluation of problems, and allow you the freedom to proceed with any subsequent steps that they feel are necessary. How Is A Roof Inspected? 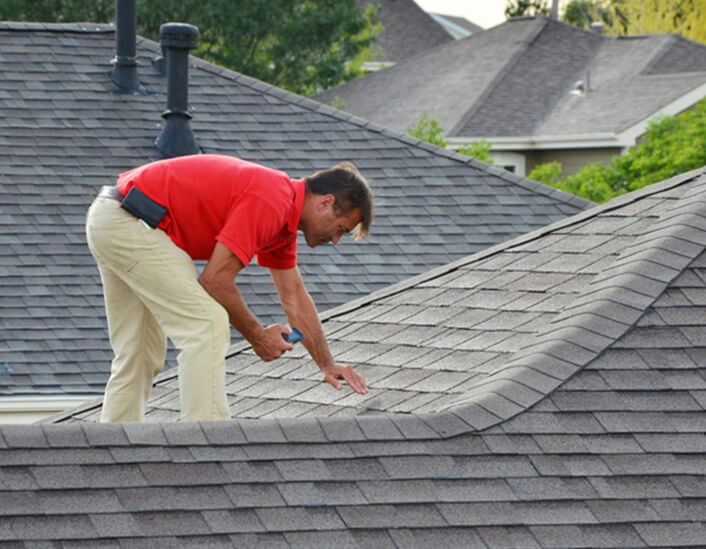 The initial objective of the roof inspection is to determine if the owner of the home has any matters that they would like discussed by beneficial roofing. These areas of the roof and the particular issues will give the company a starting point, and they’ll be able to focus their initial evaluation on treating these concerns. We will also check out the roofing components: roof deck, underlayment, ventilation, shingles, eaves protector, and metal flashing, to ensure that everything is installed appropriately and working up to standard. A frequent roofing repair is to the shingles. We will examine the situation of the shingles to make sure that they are not peeling, or that none have blown off of the roof. We’re going to also investigate the shingles for evidence of cuts, tears, gaps, breaks and curling. Usually, foreign bodies can affect the performance of the shingles like bird droppings, chemicals, and leaves.We will make a thorough inspection of all of these common shingle concerns, to spot any problems, or guarantee fully operational shingles. One more evaluation concern is roof flashing. Roof flashing is a type of defense against water seepage. Water flashing barriers are made up of a sheet of metal, galvanized steel or aluminum, that is put over the joints in the roof and wall construction to avert water from leaking inside the residence. A widespread trigger of severe water damage to beneficial is faulty roof flashing. At Memphis, TN, beneficial roofing company will check for any missing flashing, and for severe indicators of damage or rust. After this, we are going to see if the flashing is correctly installed with all the shingles and waterproofed, while also ensuring that the flashing penetrations are properly tarred. Roof flashing is an uncomplicated and intuitive engineering method which must be durable, lightweight and ultimately, weather resistant. We will want to make sure that each component of the roof is in order. We’re going to verify that the drip edge is correctly installed and operating, confirm appropriate ventilation, inspect gutters and vents and will also ensure that all goosenecks and plumbing stacks are well fixed. call us today to get free roof inspection in Memphis, Tennessee and we will guarantee to provide you the best services available in the market today.